Put some grown man style in your menswear arsenal with the latest and greatest dress shirt and tie sets by Daniel Ellissa. 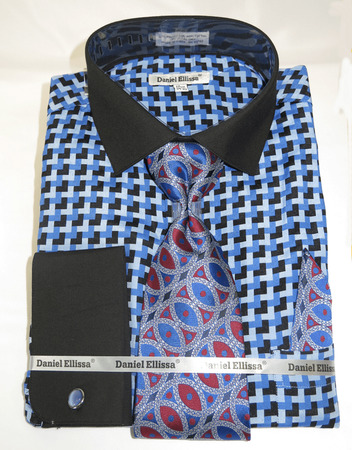 Designed in Italy for the grown man who knows how to really wear a suit, this blue color pattern dress shirt has black french cuffs and black collar as well and comes with fancy tie set. Made of cotton/poly fabric.